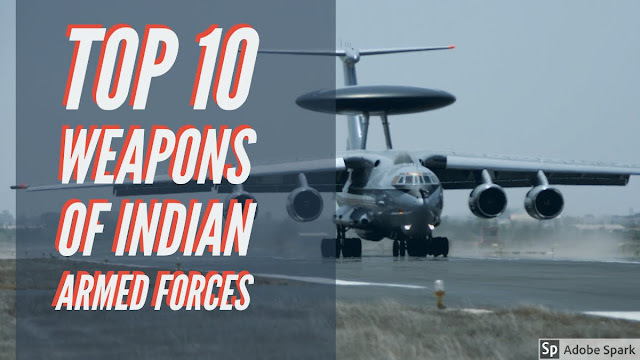 India is one of the most rapidly growing military in the world. They have evolved from a regional force with tactical capabilities to a growing strategic force with global reach. Here are the 10 Weapons possessed by the Army, Navy and Air Force that are best among the world. The PINAKA (MBRLS) Multiple Barrel Rocket Launch System is produced in India by DRDO (Defense Research and Development Organisation) for the A Combat proven in the cold and high altitude regions during the Kargil Conflict 1999.
reload time as short as 4 minutes. Its one unit costs 3,98,19,900.00 INR. A Pinaka battery has six launchers, six loader vehicles, six replenishment vehicles, two vehicles for ferrying the command post and a vehicle for carrying the meteorological radar, which will provide data on winds. 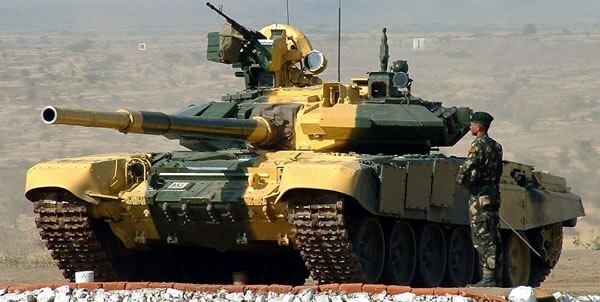 Bhishma is the Indian name for the Russian 90's Tank. The Tank is fitted with the most advanced Jamming Systems, Laser Warning Receivers, day/night sighting system. (T-90) 2A46M-2 125 mm smoothbore gun with 42 rounds. V-84MS 12-cyl. diesel (T-90) for V-84MS 12-cyl. diesel engine 950 hp (736 kW) for V-92S2 12-cyl. It weighs 46 tonnes and can cross water obstacles as deep as five meters and carry 1600 liters of fuel under its virtually impenetrable Armour. It is designed by Kartsev Venediktov and manufactured by Uralvagonzavod. Its One Unit costed 2.5 Million Dollars in 1999 and can manage a crew of 3 people. 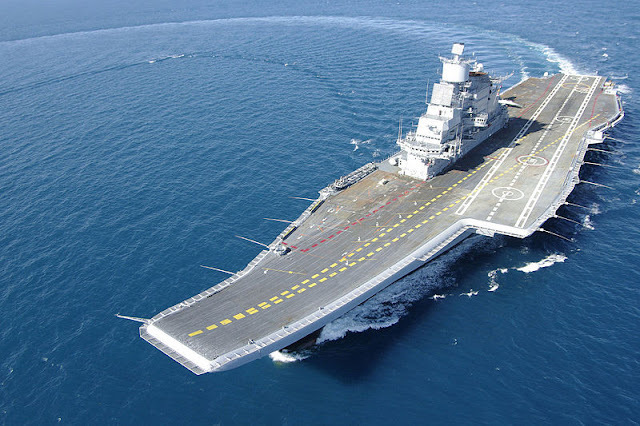 INS Vikramaditya is an Aircraft Carrier which came into Indian Navy in 2013. It is named on the emperor Vikramaditya. Its original name is Baku. This carrier previously served with the Soviet Navy and after with Russian Navy and they decommissioned it in 1996. 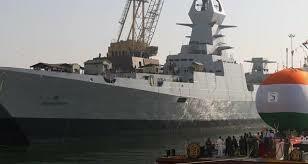 India Purchased it from Russia on January 2004 at the price of $2.3 Billion and in June, 2014 it was finally commissioned in Indian Navy. Its Operational Range on ground - 500 m to 4 km and 7 - 10 km in Air. Phalcon AWACS (Airborne Warning AND Control Systems) is the India First AWACS. It can detect aerial attacks more effectively than ground radars. In 2004 India signed 3 Phalcon AWACS with Israel in 1.1 Billion Dollars. Its is developed on the basis of Russian Il-76MD Millitary Transport Plane with Israel Radar System. It can also work as command centre, tactical air force aircraft and Guiding Fighter- Interceptors. It can detect Target Upto 400 Km away. It is mainly constructed to restrict the threat against Pakistan. 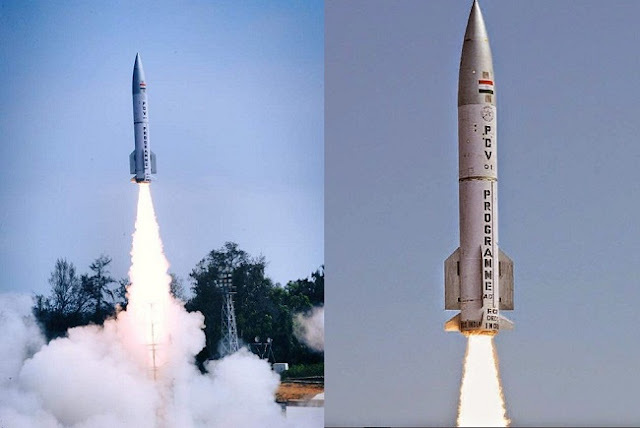 It contains 2 land and sea based interceptor missiles namely Prithvi Air Defense (PAD) for high altitude Air Defense and Advance Air Defense (AAD) for lower altitude defense system. It can detect any missile launched from 5,000 km away. The system also has overlapping network of early warning. The PAD was tested in November 2006 and AAD in 2007, due to this India became the 4th country to have the anit-ballastic missile system after US, Russia and Israel. INS Chakra is a Russian Nuclear Powered Attack Submarine Nerpa (K - 152). It was launched in 2008 and entered in the Russian Navy in 2009. It was given to Indian Navy in 2011 after extensive trials and commissioned in 2012 and is active in service. Has a weight of 8140 tons. In 2017, it got damaged at Vishakapatnam Harbor and there was a hole in sonar dome in the front, then a Russian team visited and investigated the situation and asked for 20 million dollars to fix the damage. INS Visakhapatnam is the lead ship in the Indian Navy. It is named on the the Indian place in south named Visakhapatnam. It was built by MAZAGON DOCKS LIMITED. It was laid down in October 2013 and launched on 20 April 2015, and underconstruction till july 2018. Contains the displacement of 7,500 tons and can obtain a speed of 30 Knots. Its range is 4,000 nautical miles with a crew of 50 officers and 250 sailors. It can also carry 2 aircrafts. Sukhoi is developed by Russia and built under HAL for IAF. First opened its wings on 1 July 1997, it is currently in service. till now only 249 Air fighters are constructed of this model. It's one cost 52 million dollar in 2014. It is powered by two turbofans each rated at 12,500 kgf. 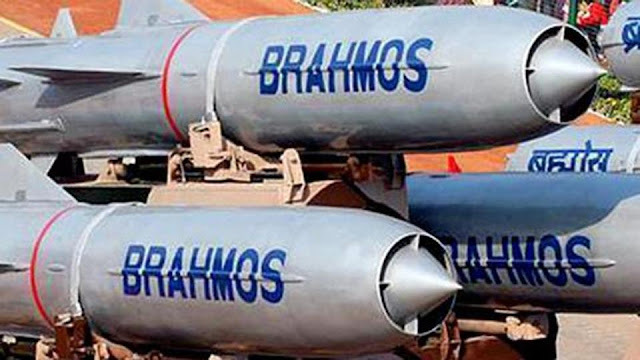 BrahMos is the combined mixture of cruise missile, Air launched cruise missile, Anti ship missile, Land attack missile and surface to surface missile. It is manufactured by BrahMos Aerospace Limited and its one unit cost 2.73 million dollars. can obtain a speed of 3,400 km/h to 3,700km/hr and can be launched on Ship, submarine, aircraft (under testing), and land-based mobile launchers.